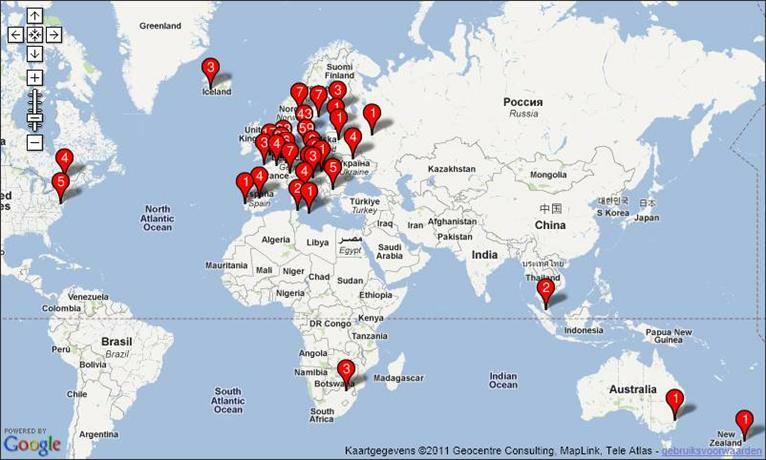 Waldo's Blog - Microsoft Dynamics NAV NAVTechDays 2011 - One you should not miss! NAVTechDays 2011 - One you should not miss! At the end of this month - 29th and 30th of September - the first NAVTechDays will be a fact! Actually .. the "first" is may be a littlebit wrong. It's actually a better name for a conference that was held a few years back: the mibuso conference, which was a celebration of 10 years mibuso, which is, let's be honest, a life work from a single person, which I'm proud of for being able to call a good friend: Luc Van Dyck. It's that same person who is doing something, where others need "teams", "boards", "organisations" .. for. Luc is organising an event again, with about the same focus as the mibuso conference, but a much better name: the NAVTechDays. And I'm glad he added a year to the name .. which hopefully means that lots of NAVTechDays will follow this one. Ladies and Gentlemen .. where AX needs its Microsoft, NAV has got his Luc (and the community).. don't forget to attend, the ..
(for people who are wondering .. no I'm not getting paid for this :-)). Well .. the title of the conference is quite self-explanatory: this conference is (and should be) about the technical side of NAV, so consultants, developers, development managers, customers, freelancers, project managers .. be ready to experience lots of technical deep dives regarding NAV (duh..). Until now, there are 380 paid attendees + 12 pending attendees. That means: about 400 attendees that are already registered to the event! Pardon me .. but am I mistaken that is going to be one of the biggest - of not THE biggest -conference about Dynamics NAV there is? With such a specific focus (being technical / development), Luc managed to gather about the same amount of people as other conferences. Well .. It's probably that focus that makes it so interesting, isn't it .. it's one-of-a-kind. Eric Wauters (aka waldo - that's me :-)). Freddy Kristiansen: from the famous blog. Per Mogensen: from mergetool.com . Christian Abeln: Mr. Client Extensibility. Just to name a few .. I'm not mentioning all of them .. there are 400 interesting people for crying out loud .. don't let me name them all (just take a look here :-)). It's just not right not to come. Congratulation to Mibuso, I just want to attend the the first NAVTechDays but unfortunately cant travel to Belgium, so all the best to all participants.